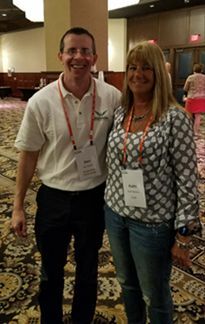 Greenwing Technology, Inc. attended the ILDA Spring meeting, which was a fun event filled with networking, good food and awesome people. Daniel Geiger represented Greenwing for this three day event, held at the Resorts Hotel and Casino in Atlantic City. The weather wasn’t great but that’s typical for this time of year in the Northeast. It’s our second year in the organization and we truly look forward to each meeting and are very happy to be part of this fine group. The opening night was networking and dinner at the hotel. We were excited to meet a few new members as well as a couple of long standing members. One new member, MDI Membrane Technologies drove all the way from Harrisburg, PA. They are a manufacturing firm led by Rohit Singhal. We wish Rohit and his team success and hope they can utilize all of the resources ILDA has to offer. On the second day we heard a number of terrific sales and motivational speakers. The first speaker Doug Van Dyke discussed hiring and selling to millennials. It was an interesting discussion about the generational differences in work and buying habits. It was an entertaining session with lively interaction from the audience members, many of whom are baby boomers with children that are considered millenials. At the end of the day it confirmed that people are the same regardless of their age or generation and just want to be treated with respect from others. The second speaker Dave Austin discussed sales forecasting and how to measure and understand results. It was another informative session on how to gauge sales and revenue based on previous company results. The afternoon featured the vendor expo. It’s a good opportunity to see products and services ILDA members are promoting. This is a great chance to meet as many people as possible and to learn about the companies that make up ILDA. I especially liked talking to new member Casper Vinding Morsing from Artiko. Casper had the tough task of importing one of his company’s refrigeration products all the way from Denmark. It was arduous getting the machine across the ocean and up the Atlantic seaboard in time for the event. We certainly hope Casper was able to meet new contacts at ILDA and possibly a few buyers of his products. The last day of the event was quick with just a half day planned. Two manufacturers I.W. 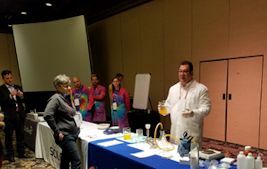 Tremont Company and SPEX CertiPrep demoed some of their newer products. As B2B eCommerce developers we don’t often get to see the products that our customers sell in person and seeing them in action. All in all it was a great way to close out the event. As usual Kathi Bretcko did a fantastic job organinzing the event and making everything work seamlessly. We can’t wait for Memphis! 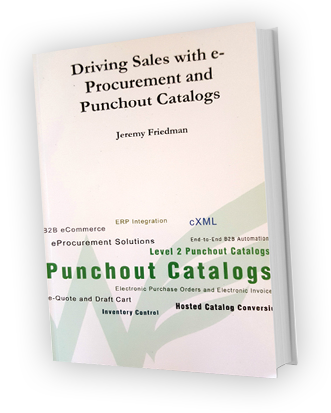 If you know any suppliers that need a punchout catalog, cXML PO or cXML Invoicing don’t hesitate to reach out to find out how simple it is for us to integrate with any e-Procurement system.